Lightweight - only 25 lbs. 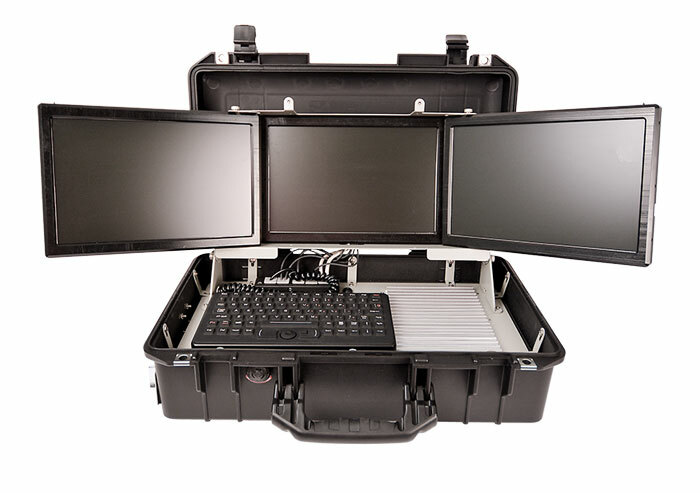 The RS-S3H Cerberus Tactical Computer System was designed with direct input from America's elite warfighters. 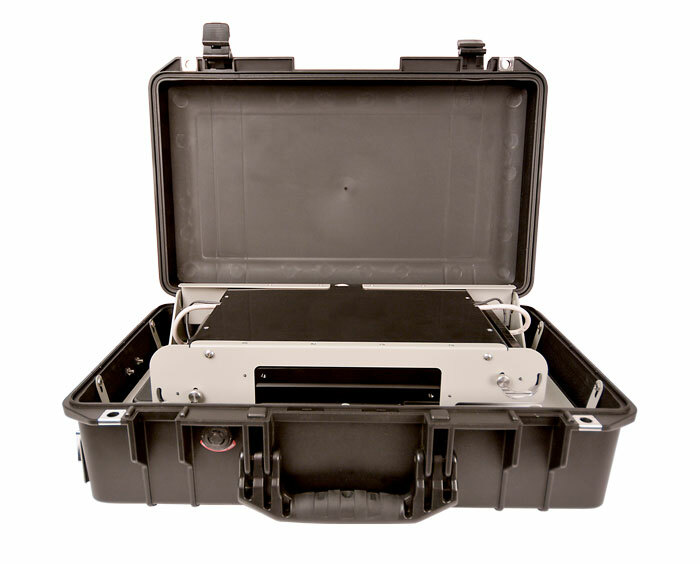 The system packages the most powerful 6th generation Quad Core Intel Skylake processors into a rugged, lightweight PeilcanTM brand 1525 Air Case that is ready to deploy in the harshest operating environments. 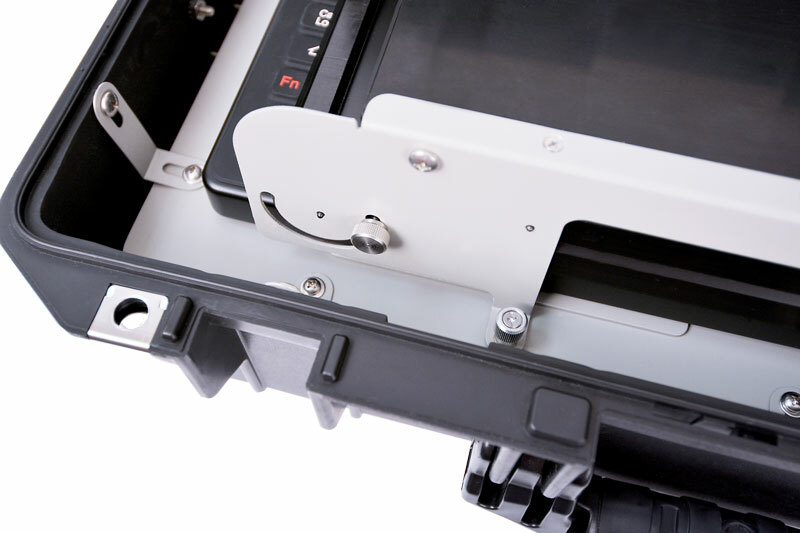 Cerberus features three Hi-Bright backlit LCD displays at 1280x720 (720P HD) mounted to an innovative internal armature that isolates shock and vibration, and quickly folds open or closed for rapid transit. 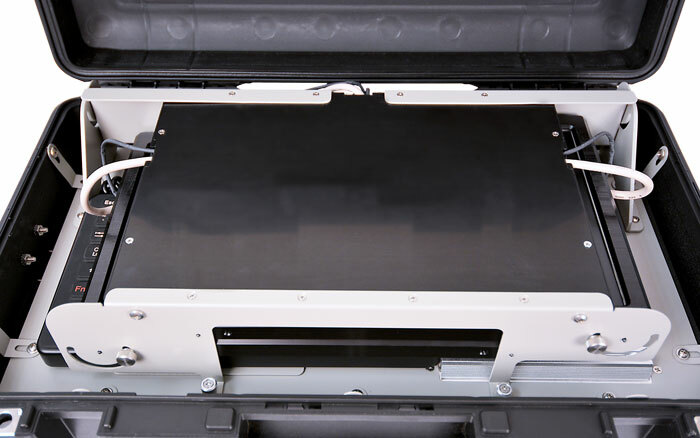 The internal PC is a fanless design witn an extra large heat sink for exceptional thermal performance. 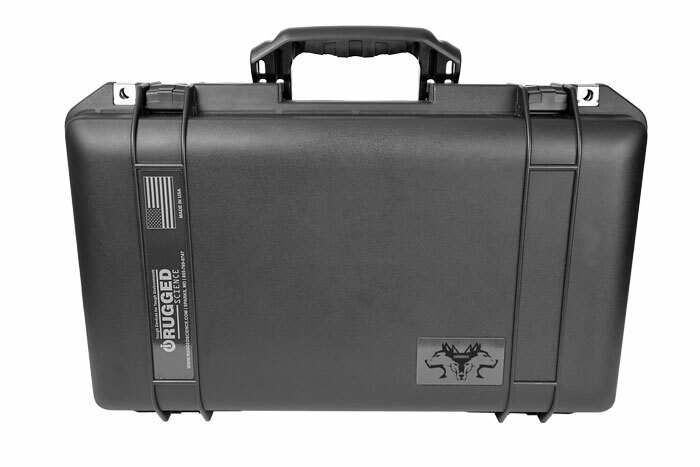 The Cerberus is available with up to 32 Gb RAM, 6 external USB ports, and 16 GPIO. 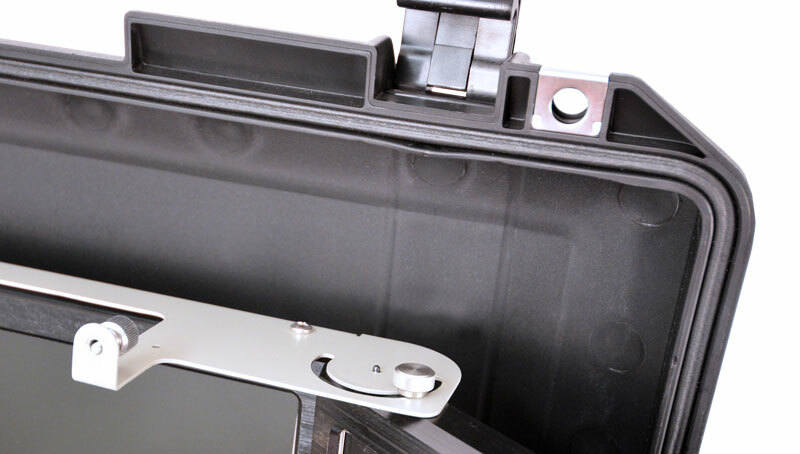 Cerberus offers configurable ignition power control, 12-36 volts DC power input with 80 volt surge protection, standard MIL-type connectors, and a -40°C to 75°C operating temperature range. In real-world tactical operations, SWAP is always a top concern; at 25 lbs. 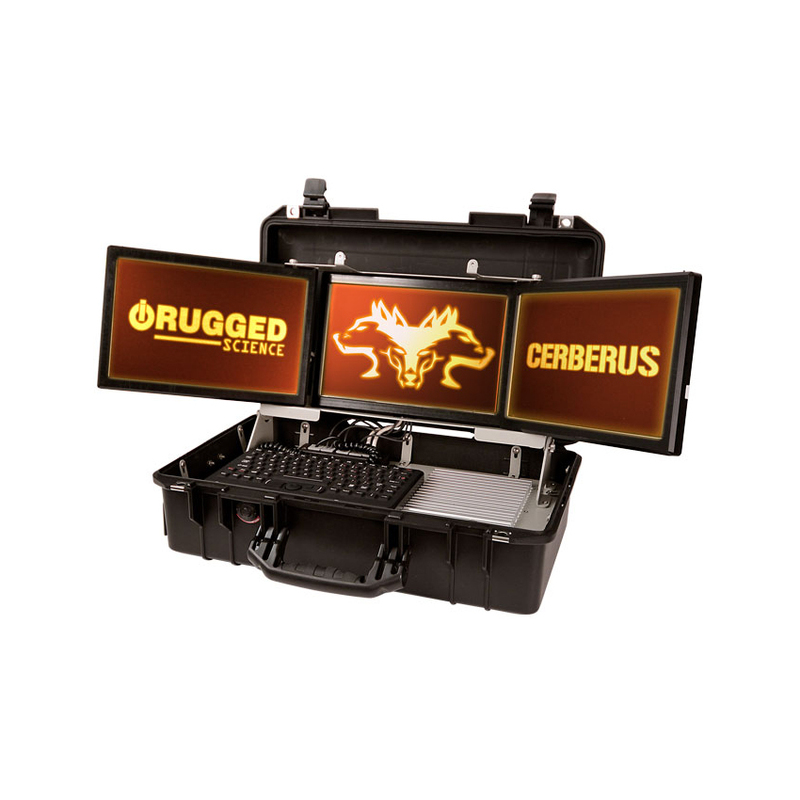 Cerberus systems are among the lightest and most powerful tactical computer sytems available.